Autumn is now in full swing and before we know it, Christmas will be here! We are determined to make sure you’re not scrambling around at the last minute to put together the annual Christmas party. Instead, we’re here to help you have a smooth, calm, and enjoyable experience planning menus that the team will LOVE! Sample Christmas menus from some of London’s best eateries have arrived at Feedr HQ, and we’re so excited to share them with you! Click on the link below to view a selection of Christmas menus from a range of fantastic vendors. 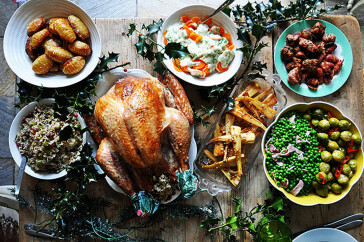 From Buffet Lunches to Christmas inspired Canapés, we’ve got you covered. Get in touch with our dedicated account management team to start planning here. To view sample Christmas menus from our vendors, please click here. We’re looking forward to serving you & your team this Christmas season. Please get in touch today if you have any questions.